The first Gosh! 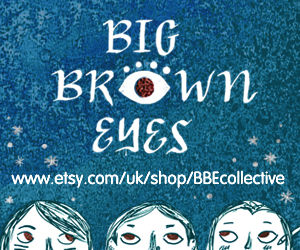 Comics and Broken Frontier Drink and Draw of 2019 is imminent! 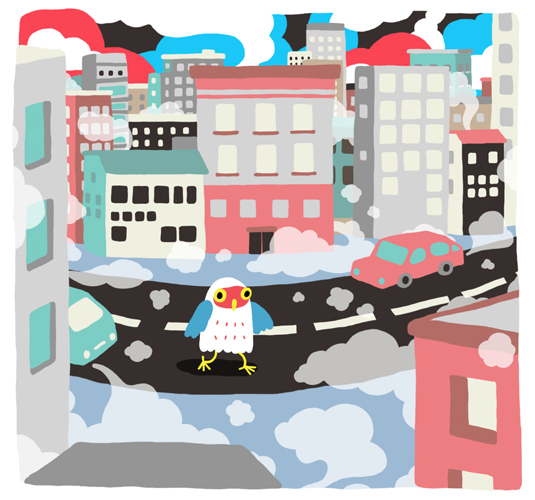 And we’re starting the year with a cracking line-up of small press artists on Wednesday January 30th. Indie talents Nic Mac, Ed Stockham and J.Edward Scott join us for our regular monthly meet-up, sponsored by Cass Art. Her tactile ØMIT ZINE looks at self-imposed seclusion using visual metaphor to explore the realities of living with depression and anxiety. 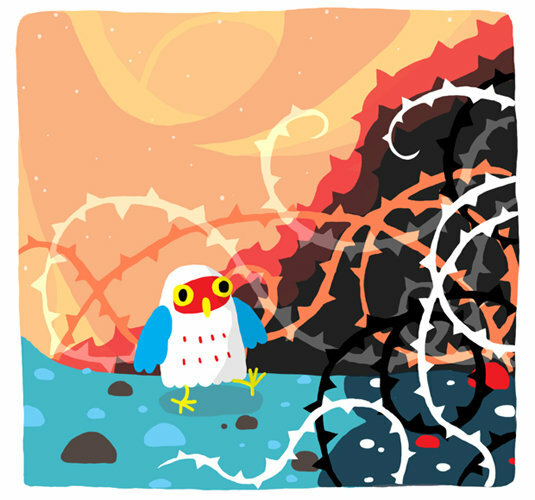 Ed Stockham‘s minicomic Owl Goes for a Walk was a particular favourite here at Broken Frontier last year with a review here and a place on our list of ‘Ten UK Small Press Comics You Need to Own!‘ for 2018 as well. 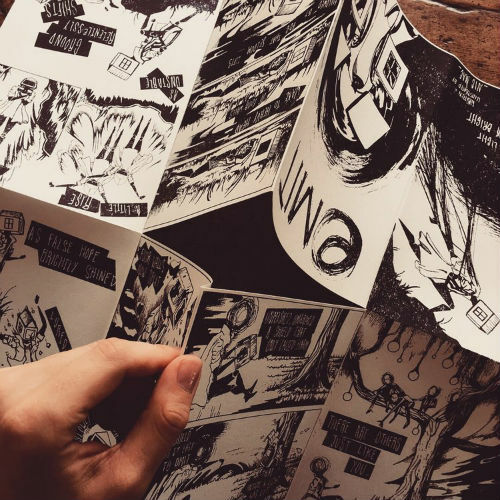 Ed’s prolific minicomics output includes cross-media comics and music projects like Ambition and Box Rocket. J. Edward Scott is the artist behind the fantasy minicomic The Blade of Arozone which has a distinct RPG gaming vibe to it. 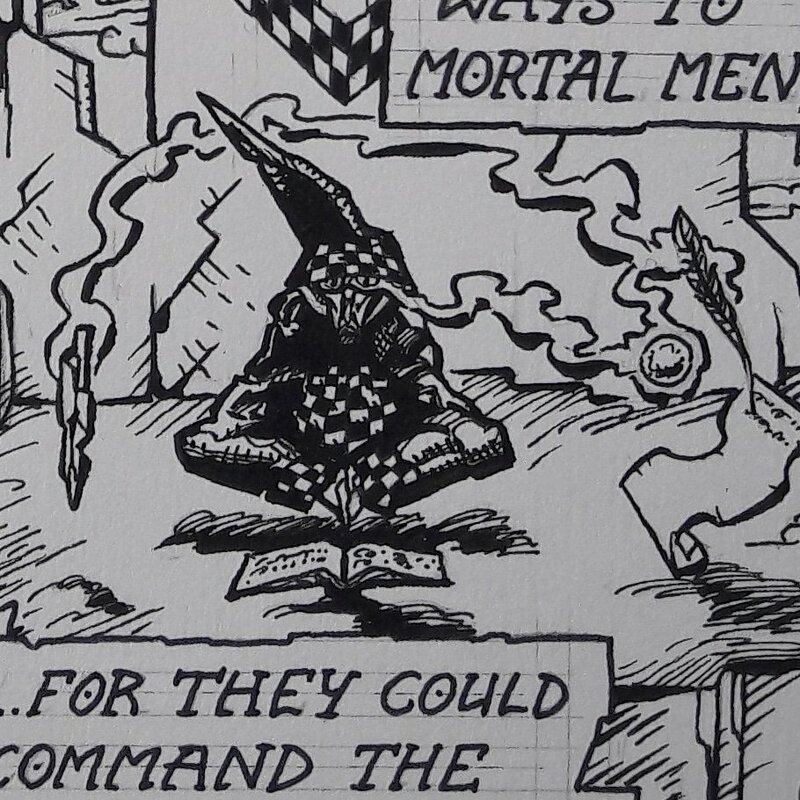 London-based Broken Frontier readers who attended the Catford Comic and Zine Fair back in December may well have picked up a copy of this intricately rendered comic from us when we were overseeing the Communal Table on the day. 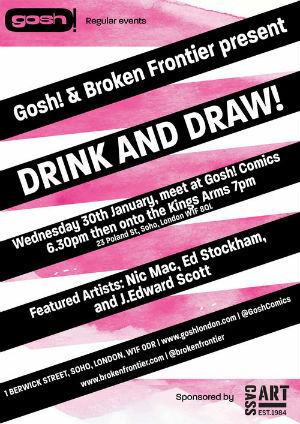 Join us on Wednesday January 30th, then, for another fun evening of drinking, drawing and comics camaraderie. 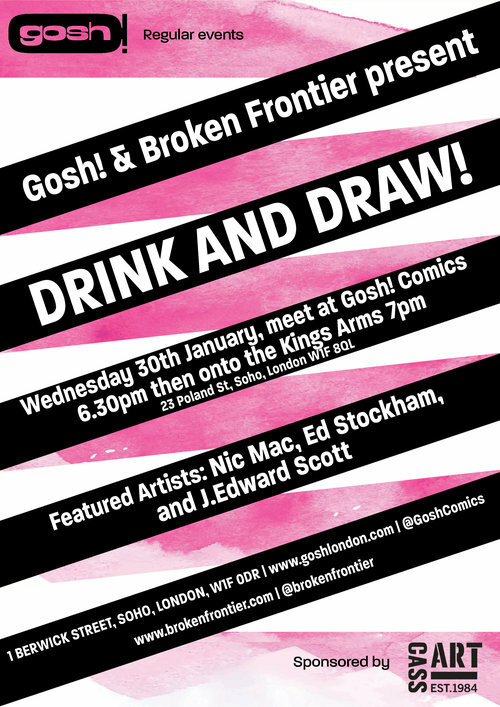 We kick off at 6.30pm in Gosh with a chance to get hold of signed comics and books from all our featured creators before moving over to The King’s Arms for 7. 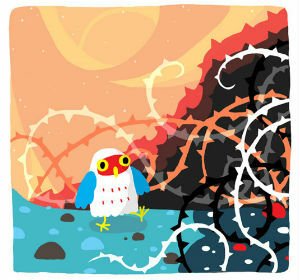 We look forward to seeing you then!